Karen would like you to meet her hardworking team. Says she is too old for having photographs taken, but is happy to stand in as manager in Karen’s absence. 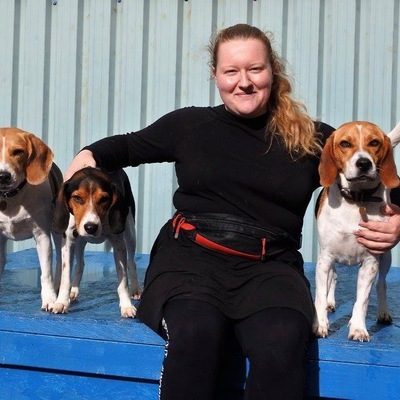 Lynn has been involved in, and owned dogs for many years. Lynn was the first dog warden for Salford Council in the 1970’s. That was when Karen joined Lynn as a dog warden and their friendship was formed. 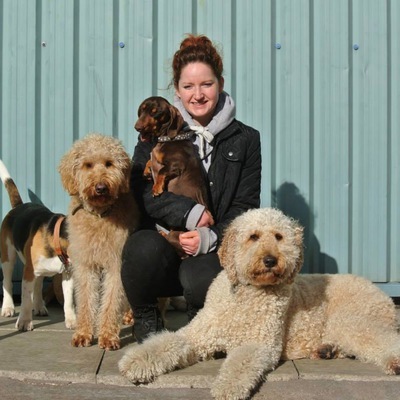 Has worked with us for 8 years after completing a National Diploma in Animal Management and has previous experience in dog grooming and wildlife conservation. 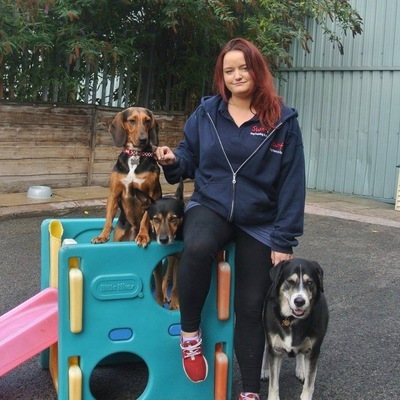 As our longest serving staff member she is in charge of the ‘human’ training but still has a keen interest in dog training and behaviour. 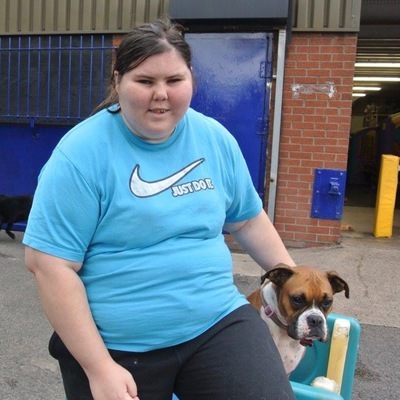 Joined us in 2011 and does a lot of everything when it comes to dogs. When not working at the day care she can be found talking her own dog Rupert and the day care dogs she is minding on long walks, bike rides and to swimming sessions. 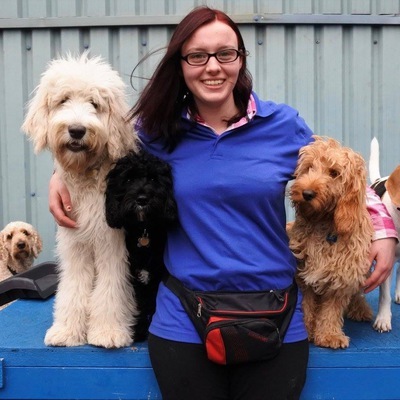 With her NVQ’s in Animal Care and Dog Grooming her passion for dogs is evident in everything she does and the dogs adore her in return. Vlasta is our resident photographer and is responsible for all the wonderful photos displayed on the Facebook page. 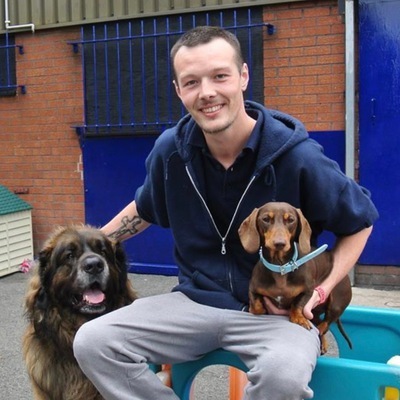 Has been with us for 6 years and has a real passion for the dogs and although he might not like to admit it, he has a big soft spot for Cocker Spaniels. 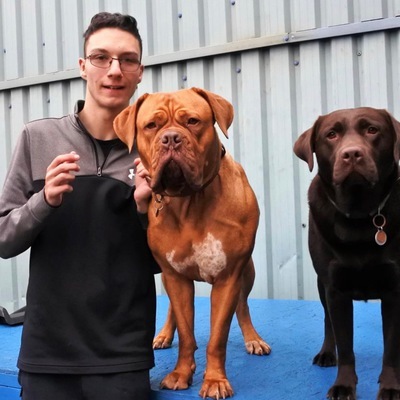 He has a wealth of knowledge and understanding of dog behaviour which has been developed through his on the job learning and by owning and living with dogs all his life. Has been part of the team for 5 years after previously volunteering at the day care. Her bond with the dogs is obvious but especially every morning when they all ‘vocally’ great her. Sandy also works alongside Vlasta by setting the dogs up for their various photo shoots. Joined us as a volunteer early 2013 then in Sept 13 was successful in gaining an apprenticeship and NVQ before joining the team full time. 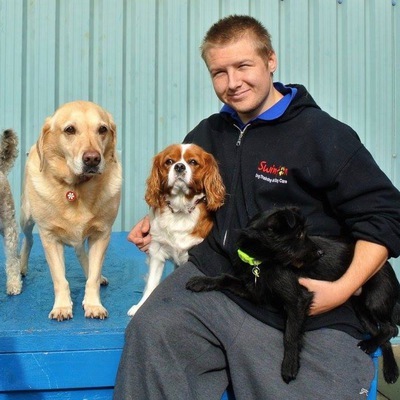 Sean is a hardworking lad and loves all the dogs in his care. 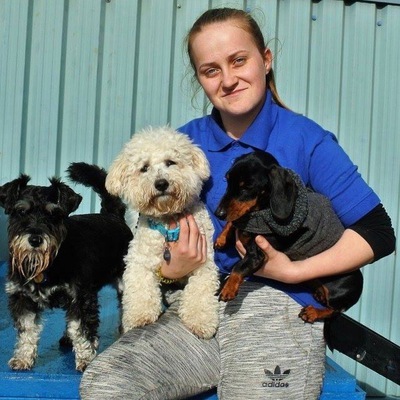 Came to us as a volunteer two years ago and is now soon to complete her two year apprenticeship and NVQ in Animal Care with us. Everything Sarah does is done with much enthusiasm. 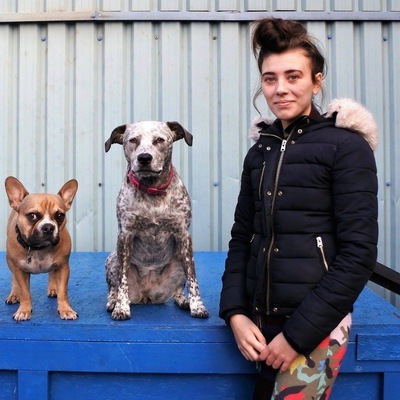 Her enthusiastic personality is ideally suited to making sure all our ‘newbies’ be they dog or human feel at home. Began volunteering over two years ago and now has just completed her NVQ on our apprenticeship scheme and constantly proves to be an important part of the team. She is loved by all the dogs and loves to give them all cuddles in return. Originally came to us in 2013 on a work experience placement from college. 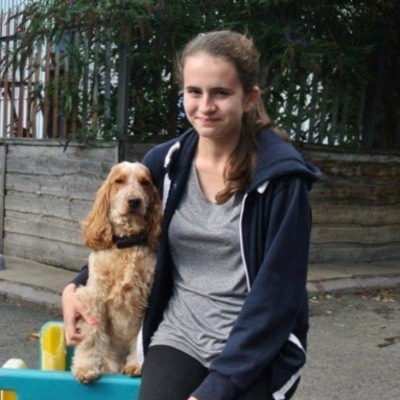 She is now studying Animal Behaviour at university but still comes in most weeks to help out and have fun with the dogs in her spare time. 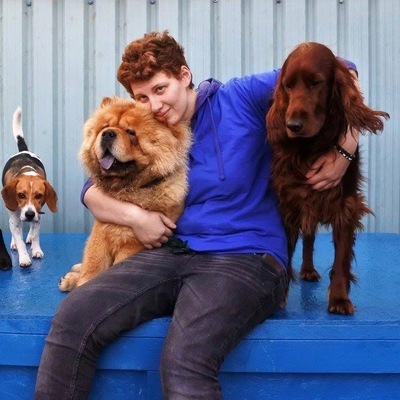 Rachel is dedicated to rescuing animals opening her home and heart to everything from dogs, birds and reptiles. Joined the team this year and loves coming in volunteering every school holiday. She is a great asset to the team and all the dogs greet her like a long lost friend each time she arrives. On chill out times she loves her cuddles with the dogs and can be found with her favourite Rocco the Springer Spaniel fast asleep on her knee. Has been brought up with dogs and has a great affinity with them. She loves coming in during school holidays to have lots of cuddles. She works hard when visiting and enjoys learning all about the dogs. She is a great asset to our team. Volunteers twice a week from Oakwood Academy. He has been coming twice a week for nearly a year and is a big help to the team and works very hard during his visits. All the dogs love him and look forward to his arrival. Daniel loves a game of football with them all. Has been volunteering from Oakwood Academy for over a year. She loves to spoil the dogs with fusses and attention. She loves to ask lots of questions and is always eager to learn. Has been volunteering every Wednesday for three years. She is a very popular visitor with the dogs and is a professional at giving cuddles and belly tickles to them all. 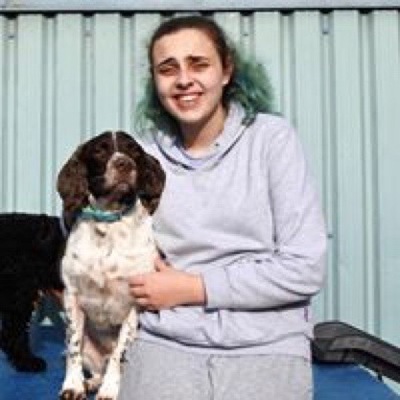 In addition to the regular team we have a large number of volunteers who come in to help with our dogs and gain experience of working with them. Copyright © 2019 Swinton Dog Day Care Centre, All rights reserved.